How do you measure courage? What does it really mean to follow Jesus by faith? Does God still speak to believers in a manner that leads them to stand up to the evils of our day? This is not only a tremendous story of a truly mindful human being, but also a wonderfully told story by an experienced author. 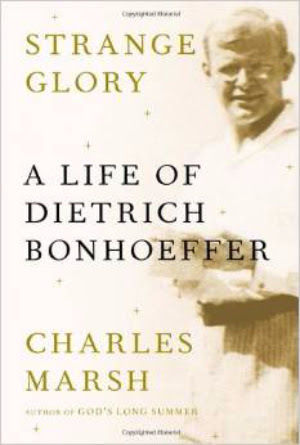 I began recommending this book to family and friends even before reaching the tenth of its thirty-one chapters! This is a must read for any contemplative soul of the twenty-first century. It could have had a sub-title of: guide for the serious thinker. There are a couple of things I wished could have been written differently. First, some chapters contained details that really weren’t necessary to the overall biographical sketch. Minutiae often bogged down an otherwise thrilling story, yet very lengthy story. Second, unless one was already quite familiar with the history in which all this took place they would, as I did, look for more detail. Inserts or an appendix with expanded details about particular historical events would have been much appreciated. We live in such a polarized age that is instantly and even militantly apt to exclude those who differ, rather than to expect to learn anything, that this book presents itself as a warning. Unless we discipline ourselves to be attentive to the realities around us without knee-jerk reactivity nor mindless tolerance, we will ultimately find ourselves hoodwinked by the neo-Hiltlers of our time. Events outside of our control can unwittingly escalate our commitment to ruinous pursuits. Blinded by a miriad of complex factors we will fall prey to calling true savior, devils and the devil our savior. If you are seriously interested in being a thinker and not a mere reflector of the times, read this book.